Here we have a beer staple in the Texas Beer community. 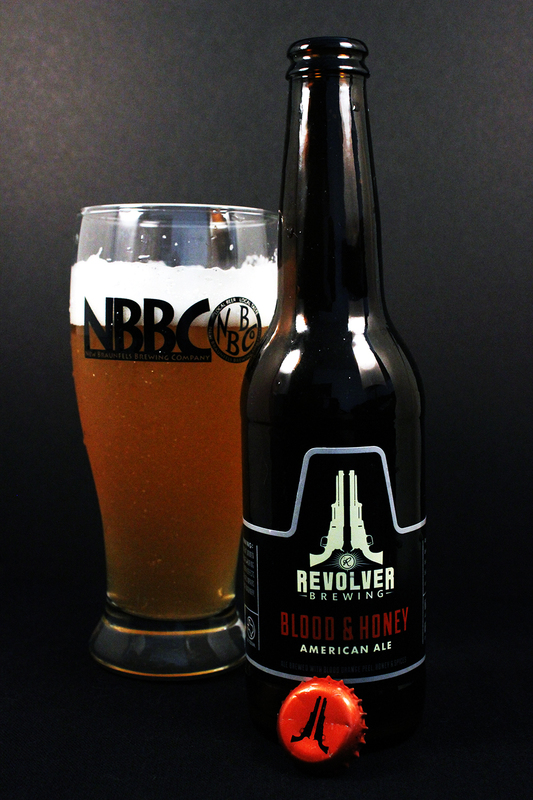 I am talking about Blood & Honey by Revolver Brewing Company from Granbury, TX, which is near Fort Worth. The Texas Craft Beer Scene has been on a non stop growth pattern over the past few years, and within that time frame, up popped up Revolver Brewing Company in the local Dallas/Fort Worth market, and slowly spreading into other areas in our great state. Being from San Antonio, I have not been able to experience Revolver Brewing all that often, but the buzz I heard lead me straight to their American Pale Wheat Ale, Blood & Honey. I have had this beer on several occasions while visiting other cities, but one bottle was brought back to the BeerMetalDude Headquarters so i could dissect, rip and tear this beer apart and fuss over it with you readers and friends! Cheers! This beer comes in a 12 oz. bottle format with a plain text label sticker. The sticker has the Revolver Brewing logo in white, and the words Blood & Honey written directly below it in a blood red color, which was rather fitting for this beer. No actual art on the label, but the simplicity of this label really works in this case. I used a Weizen glass from local friends, New Braunfels Brewing Company for this session. Blood & Honey poured a hazy bright, pale golden orange color totally unfiltered, complete with a glass full of floating chunks of sediment. The beer was topped with about an inch wide foamy bright white head. There was excellent head retention as it stuck around a good while, leaving thick lacing spots down the entire glass. The taste is similar to the nose on this beer. You can definitely taste all the featured ingredients, like the blood oranges, honey, and the wheat. There is a nice grainy, bread-like body mixed well with spices like coriander, clove, and black pepper. The aftertaste is full of citrus and spices. Blood and Honey has a slightly over medium sized body and has a slick, syrupy mouthfeel that goes well with the thickness. There is moderate carbonation, and a nice crisp bite at the end that goes perfect with the finishing flavors of orange and spices. This beer has quickly become one of the most popular beers in the Texas Craft Beer scene, and for good reason too, as this beer is really good. I really hope one day that Revolver Brewing becomes available here in San Antonio, so I can have easy access to this beer and the rest of their line-up. Until that happens, I guess I will just have to seek it out when I travel to other Texas cities. Metal Connection: Well, well, well, will you look at that. I found a song with the words “Blood and Honey” in the title. Seriously, I wasn’t shocked at all, but I just didn’t know where it would come from. The song “War, Blood & Honey” comes from Houwitser from The Netherlands. The band was formed in 1997 by ex and current members of the bands, Sinister, and Hail of Bullets. 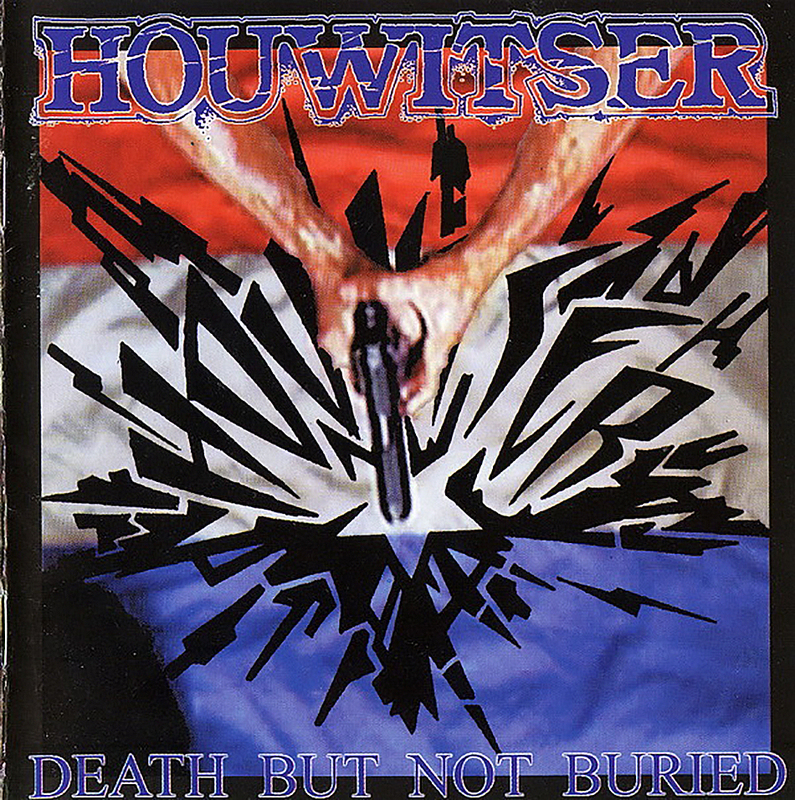 The music of Houwitser differed from the members other bands a bit. The music was a lot more in the Brutal Death Metal style, a bit more Grindcore, and less melodic. In 1998, they released their debut full length, Death… But not Buried, which is where our featured song, “War, Blood & Honey” comes from. The song is a short 1 minute and 30 seconds in length about blood spilling in religious wars.